Find What You Aren’t Looking For First! I like to challenge my students. One way that I like to challenge them is through tricky diagrams and pictures. I don’t want every problem to be straight forward. I always tell my math students that sometimes you must find something you aren’t looking for in order to find what you ARE looking for. Since I teach 9th graders, I’m trying to get them out of the mode of thinking that all problems should be easy to figure out. I love watching them really think, but it tends to be frustrating when you have those students that want to ask you about every single problem or want you to stand at their desk and watch them so they can ask you questions. I’ve learned to give them a good 5 to 10 minutes of independent thinking time, then I’ll let them compare what they have so far with a partner. I’ll watch and listen to the conversations to gauge what to do next. If they are still struggling, I may give them a hint. Sometimes I’ll play the game where the only answers that I can give are yes or no. This will help them learn to ask good questions. Below are some examples of the types of problems that I’m talking about. If students get used to doing these types of problems, they will be excellent problem solvers and even though a problem may stump them, they will have the experience to know that if they stay after it, they can eventually figure it out. 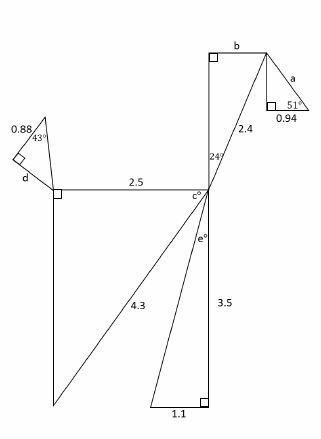 This problem is from my Law of Sines and Cosines Resource. I call this one, the Poodle Problem. It is in my Trig Unit. 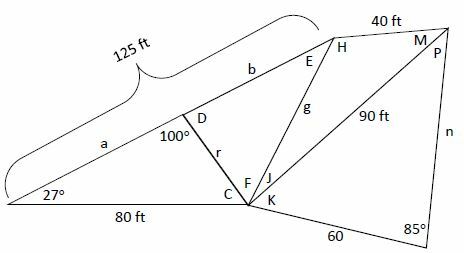 This problem is from my Special Right Triangle Unit. The great thing about these problems is I’ve made them easy to grade. You know real quick if they’ve worked the problem correctly or not. After a year of these types of problems, I’m hoping to see improvement in my student’s college entrance scores and EOC scores. I know that this will also help with their growth mindsets. I feel like this is definitely a win/win! Posted on March 3, 2018 March 3, 2018 Leave a comment on Find What You Aren’t Looking For First! I get so much out of creating lessons. 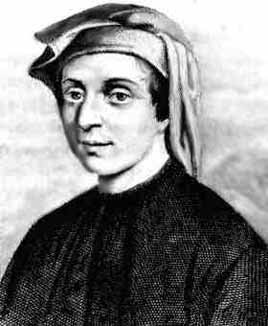 When you deeply understand a concept, you can talk about real-life situations and the math behind it. 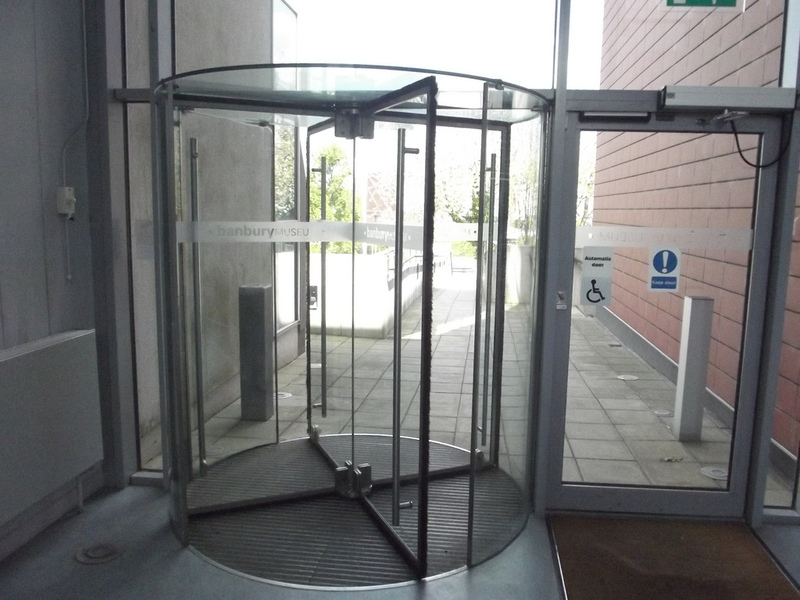 I’ve never thought about it until now, but a revolving door is a perfect example of a solid of revolution. Taking a rectangle and revolving it around a pole, creates a cylinder. What a beautiful example! The last time I was at an AP Calculus seminar, I learned that another awesome example of a solid of revolution is a honeycomb decoration used at parties. These are perfect examples because you can see the 2-D version before it is rotated. This is exactly what we want students to know. What does the 2-D version become with you rotate it? If they can visualize that, then they get it! Another concept that goes hand-in-hand with 3-D figures is the idea of cross-sections. 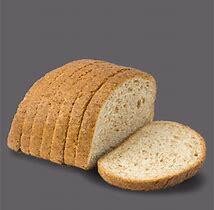 Everytime we slice an orange, apple, or a loaf of bread, we have created a cross-section. In Algebra 2 and Pre-Calculus, we discuss cross-sections of cones. 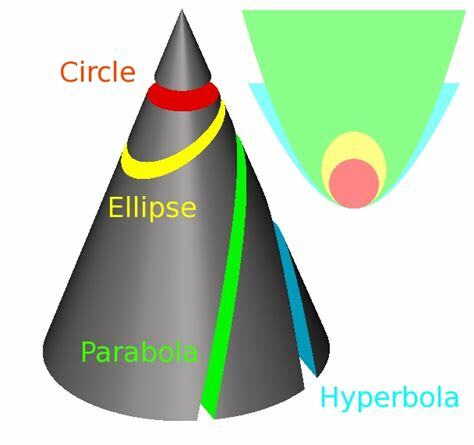 Depending on how you slice the cone, you can get a circle, an ellipse, a parabola or a hyperbola. 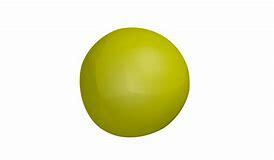 A great hands-on activity for cross sections is to have the students create a shape out of play-doh. 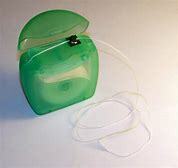 Take a piece of dental floss and slice the object horizontally, vertically or even at an angle. Be sure and have them make predictions before they perform the experiment! Students with phones can take a before and after picture so that other students can see. 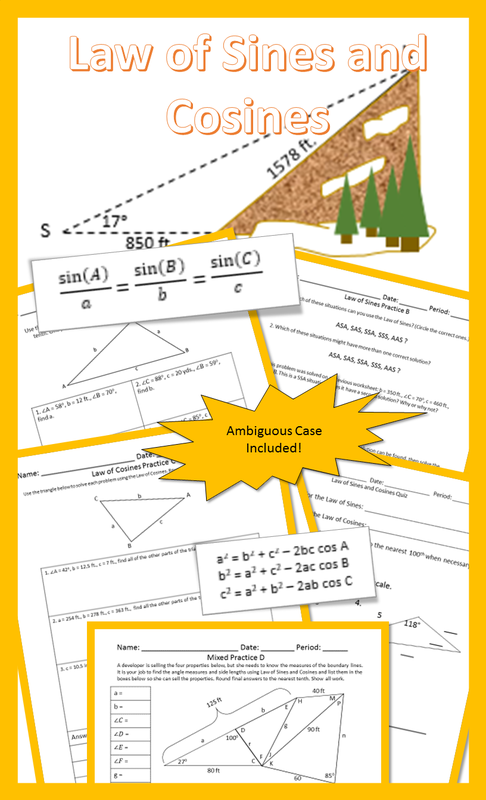 I enjoyed creating my Intro to 3-D Figures resource. It’s amazing how after teaching math for many years, that I can still pick up valuable insights and ideas. Math is infinite. There is no end to what you can learn! 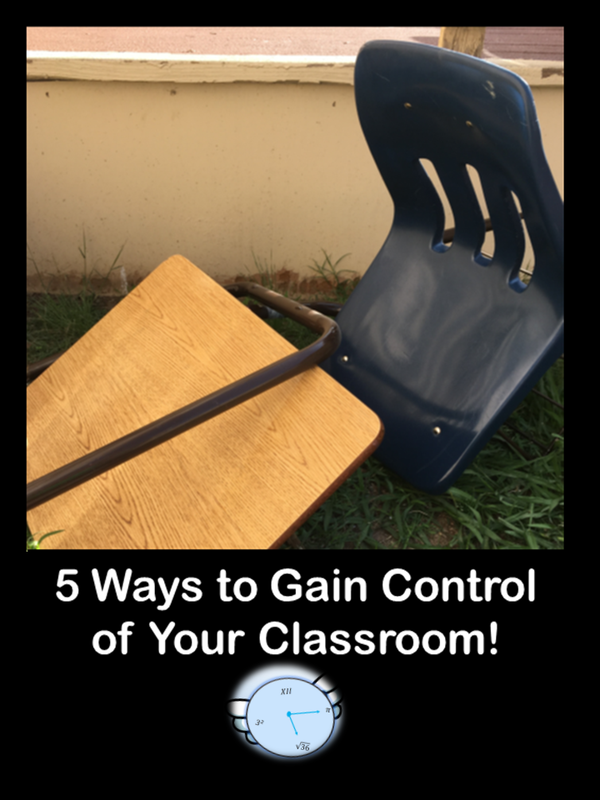 5 Ways to Gain Control of Your Classroom! At certain times of the year, you may feel like you’ve lost control of your classes. Toward the end of the year, you’ve become lax and the kids are getting too comfortable. Students are talking while you’re teaching. You have a hard time getting their attention. Phones are visible along with earbuds inserted. You are miserable and little worried about how you are going to make it through the rest of the year. I have 5 easy things to try to get you and your students back on track. You will realize how easy these things are to do and wonder why you haven’t done them all along. Sometimes even teachers lose focus and go into survival mode. Survival mode is a hard place to stay. Try these 5 things and I promise you will be happy and you can finish the school year with a confident attitude. I. A seating chart is a must! It doesn’t matter what grade you teach. Seniors? Juniors? 7th Grade? Doesn’t Matter! You need a seating chart if you’ve lost control. Look at the seating arrangement of each class. Have they started sitting where they want to sit? Are they too comfortable with the students around them? Do you have them in groups? Have you ever had them in a seating chart? My suggestion is to put your classes in rows for a while and decide where you want each student to sit. Who needs to be in the front? Who can sit in back? Who does not need to be by each other? Strategize! The kids will moan and groan, but ignore it because you’re going to see good results from this seating chart. You’ll probably have a few kids come up to you and say that they can’t see from their new seat or they can’t sit by a certain person. You will hear some excuses, no doubt. For right now, just tell them to sit where you put them. (You are in charge!) If you see a problem with where some kids are sitting, YOU DECIDE when to move them! Now that they are in their new seats, it’s time for a discussion. You are going to explain that they will not have their phones out, unless they have permission. You do not want to see the phones or see the earbuds or you will take them up and either turn them into the office or not give them back until the end of class. Now, if you say this, you have to follow through. The first person that messes up needs to be made an example. This will get the attention of everyone. Don’t budge on this! From this day forward, you need to walk the class. Don’t stand in front of the room and teach. Be everywhere. Talk to the class, then walk around and see if they are doing what you asked them to do. You can teach from any part of your classroom. Let students go up to the board. You don’t have to always do it. If you’ve never walked your class, you will be amazed at how this will change your classroom. Try to talk to each student at some point during the class period. Don’t hover over any student for long though. Keep moving and act like you are really checking out what they are doing. If you really want to put on a good show, get a clipboard and act like you are writing stuff down that you see. You can even walk around and put stars, stickers or check marks on things that you see that are good! You will have fun and the kids will too. All kids like stickers, smiley faces and check marks! Another awesome trick to keep your students on their toes is to randomly call on people to answer questions. There are random selectors on the internet, but I like to use index cards. It’s very easy to do. Put each student’s name on an index card. Shuffle the cards and randomly select students to answer questions. When I’m having kids work an example problem, I’ll warn them and say, “I’m going to randomly call on someone in a minute.” If you call on a kid that sits and looks at you because they don’t know the answer, still make them give you something. You can give hints, or help them out, but don’t let them get away without answering the question. All the students are watching to see how you handle the kid that says, “I don’t know.” This will get your students engaged, because they don’t want to be the kid that doesn’t have an answer. If students give me wrong answers, I still praise them. I don’t want anyone to be afraid to answer a question because they are afraid of being wrong! V. When it’s Time to Go! Be in charge…even when the bell rings. Did you know that the bell doesn’t release the kids? YOU DO! I tell the kids that they are not allowed to leave the room, until they hear me say, “Have a nice day!” I keep them in their seats until I inspect the room. Is there trash on the floor? Did they put up any materials they used? One trick, I’ve learned to do and yes it works with any age, five minutes before the bell I say, “I’m inspecting the room and the cleanest, quietest, straightest row will get to leave first.” This works great on that rowdy class that always leaves your room in a mess. I usually walk around and point out trash on the floor and other things that need to be corrected. When the bell rings, I’ll pick one row to go. I don’t release another row until the first one is gone. When I’m down to 2 or 3 rows left, I usually say, “Ok, everyone can go now.” If you do this a few times, they respond well. If there’s one kid talking and keeping their row from leaving, I’ll say that everyone can leave, but “Johnny.” I’ll let everyone go and Johnny stays behind. It’s entertaining to say the least, but I promise it makes a difference. Don’t be miserable, take charge. It’s never too late. Trust me, I’ve made every mistake possible. I’ve learned that being FIRM is the key. I left many days, almost crying because my day has gone terrible, but it was my fault. Take control. Kids will respond as long as they see you are firm and fair. I hope the rest of your year goes well. 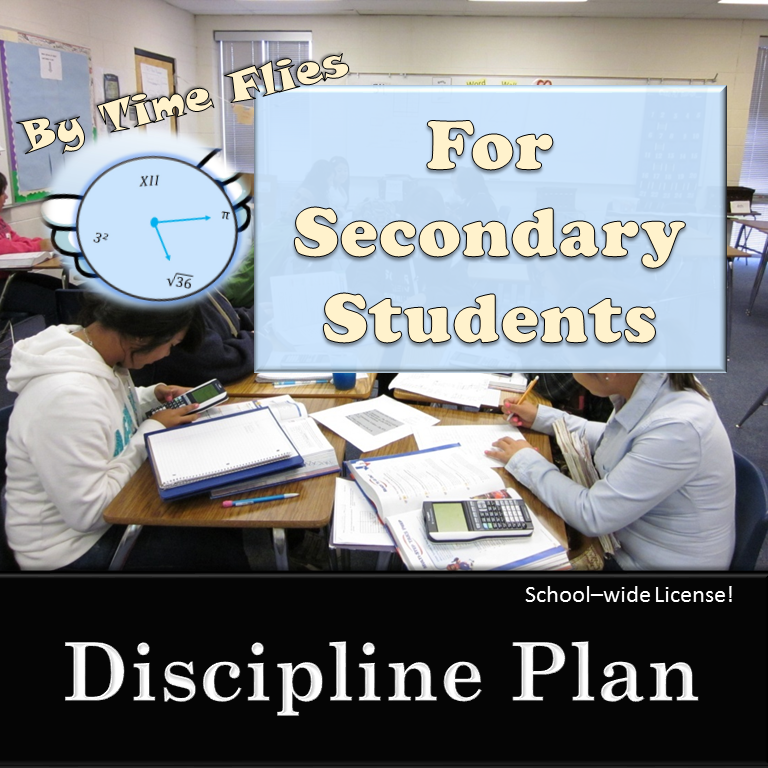 If you would like a complete discipline plan for secondary students, see the link below. Posted on January 24, 2018 January 24, 2018 1 Comment on 5 Ways to Gain Control of Your Classroom! The first one is here! 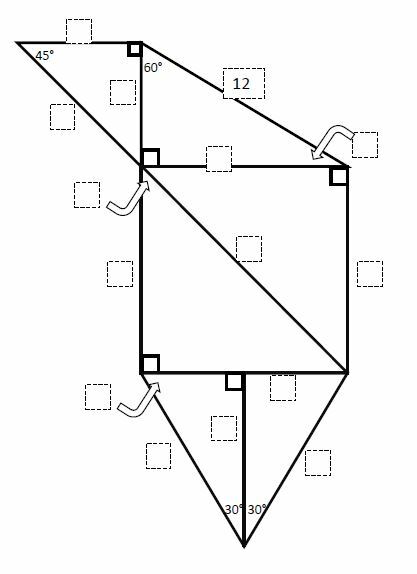 Area is taught in early grades. The concept of adding up all the square units that COVER a figure is actually pretty simple. Students need to understand WHAT area is before really delving into using the formulas and then taking them a step forward. To take area a notch further, we throw in algebra. Instead of a side being just 4, we might make it 4x. We will talk about how area is quadratic, volume is cubic and perimeter is linear. Before students get to pre-calculus, they also need to how dimensional changes affect the area. If all dimensions change, the area changes by that amount squared! So if all sides are doubled, then the new area will be quadrupled (or doubled squared). If one dimension changes, then the area is only affected by that amount! I’ve been hard at work creating my Geometry Curriculum. My most recent resource covers area. The resource practices finding area of rectangles, parallelograms, squares, rhombi, triangles, and trapezoids. These figures are combined into composite figures and problems are worked forward and backwards. There is a special emphasis on regular polygons. Regular polygons are a great way to practice special right triangle rules and trig! 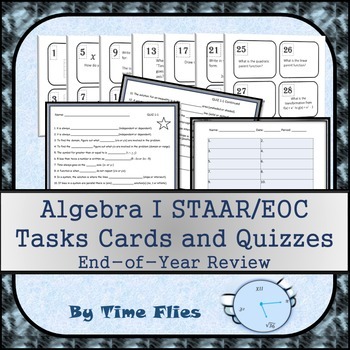 There are tons of notes, practice and quizzes in this resource. If you need something like this, then go to my TpT store and check it out. 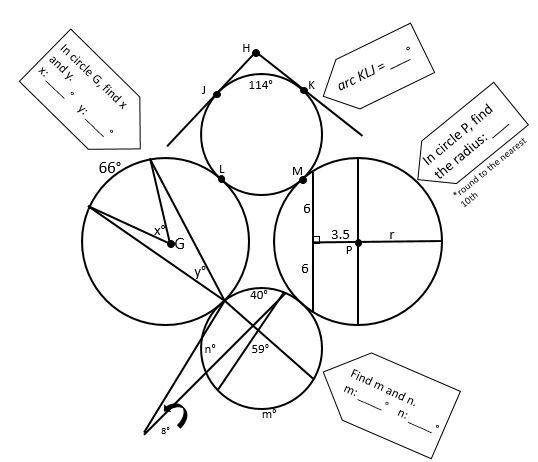 This coloring activity is a fun way to practice area and circumference problems. There are 16 problems in all. The students are asked to leave some answers in terms of pi. There are some problems that area is given and the student has to find circumference and vice-versa. The back of the activity has adding, subtracting, multiplying and dividing with pi. 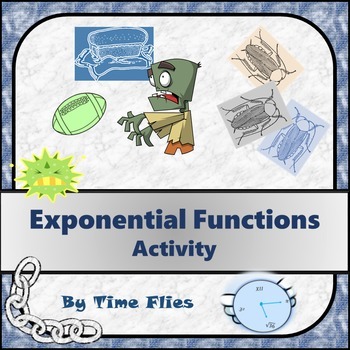 The variety of problems makes this resource fun but challenging!